Why are Falls Prevention Programmes important? Recent Evidence summarised by Age UK has shown that falls and fractures in people over 65 make up for over 4 million hospital bed days in England alone and the healthcare cost for fractures associated is approximately £2 billion per year. After a fall an older person has a 50% probability of having significantly reduced mobility and makes them feel more vulnerable and less independent. 1 in 10 people who fall become afraid to leave their homes in case they fall again. A falls prevention programme tailored to the individual person can reduce falls by approximately 54%. The programme helps to address any hazards in the home, related medical problems and increase strength, mobility, flexibility, coordination and balance. Evidence states that a minimum of 50 hours of exercise over a period of time such as 6 months should be advised with the 50 hours being made up of 2-3 sessions a week with your physio and on your own with your family or carer. Why choose our Falls Prevention Programme? 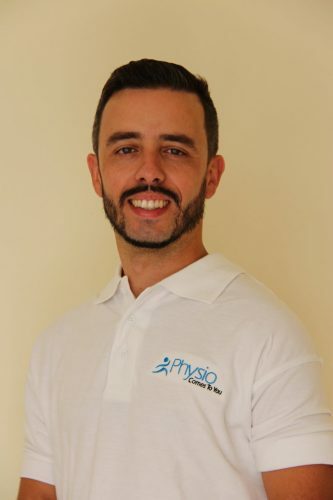 Initial Appointment – a home hazard check and hazards removed, medical history taking, assessment of your flexibility, strength, coordination, balance and mobility. After the assessment you will be provided a starting set of exercises tailored to your needs. I just wanted to say thanks to Tori for the great work you have done with my Mother. She was full of praise for your style and approach and remarked more than once on how firmly you drove her to perform her exercises properly. She still has some stiffness, particularly after sitting for a long period, but I am sure this will improve as time goes on. Thanks for all your help.